HARLINGEN — A small craft advisory has been issued for the Laguna Madre and inshore gulf waters from the Rio Grande north to Baffin Bay. 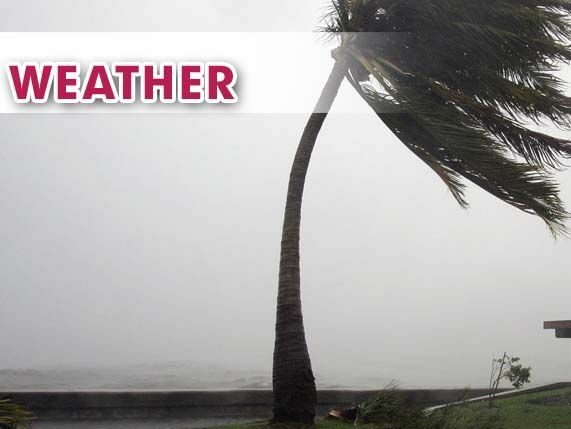 National Weather Service forecasters say strong northerly winds accompanying a cold front and building seas are expected to last through this afternoon and evening. Sustained winds of up to 23 mph are forecast along with high seas in the gulf and heavy chop in the bay. Offshore in the gulf, a gale warning has been issued with north to northwest winds of between 28 mph and 40 mph. Seas offshore today will average six to nine feet, with scattered to isolated thunderstorms. Tonight winds will diminish but wave heights will average eight to 13 feet, with rogue waves possibly as high as 20 to 25 feet.